Eczema is a skin condition where patches of skin become inflamed, itchy, cracked, and red. Sometimes, blisters may develop. Often, the word eczema is used specifically to refer to atopic dermatitis, which is the most common type of eczema. 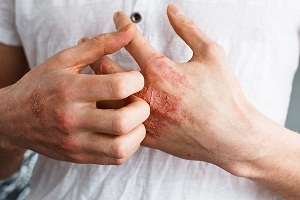 Eczema can be triggered by environmental factors like smoke and pollen or by foods. It is not contagious. Eczema in eyelids can be challenging to manage and treat because of the sensitive skin in this area. 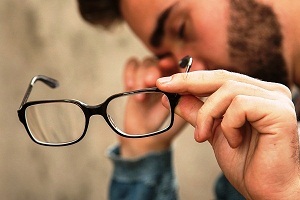 Eyelid swelling may affect your vision and cause severe complications if not attended properly. Treatment of eczema focuses on keeping the affected area moist, reducing the inflammation and avoiding exposure to irritants. Many people can’t recognize the difference between psoriasis and eczema (also called atopic dermatitis). 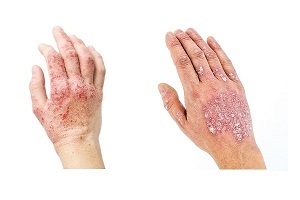 The treatment of psoriasis or eczema depends on recognizing the patch of skin that’s inflamed, reddish, or peeling as one of the characteristic symptoms of these conditions. Both of them have similar symptoms, but there are ways to differentiate them apart. In almost all cases if you have eczema, your skin will itch before rashes develop. Patches of thickened dry skin will appear on your face, legs, hands, and neck. They can appear on any other part of the body too such as within creases of knees and elbows. 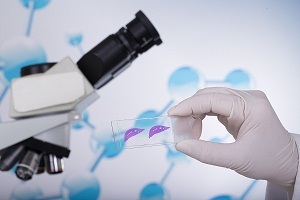 A detailed medical history is important for diagnosing eczema. Your doctor will ask several questions to determine your medical and family history and to know about the signs and symptoms of the disease. A dermatologist will check when the rash appears, where it appears, and how often it appears. After your doctor diagnoses that you have eczema, he will use anti-inflammatory medications to give you relief from itching. Steroid creams and antihistamine medications are usually recommended. Alternate treatment options may be tried such as light therapy, coal tar, etc. 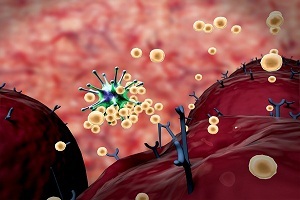 Immunotherapy generally does not help in eczema. The specific cause of eczema is unknown. However, scientists believe that it is caused by genetic and environmental factors. Certain irritants can trigger the disease such as certain foods, pollens, pollutants, microbes, temperatures, and hormones. Children are more likely to develop eczema if a parent has had it or any other atopic disease.